UK Economy To Stay Depressed: The UK economy continues to stumble onwards as a slow re-balancing takes place. Years of excess spending by the previous government during the “good times” and increases in private sector debt have crippled the economy. The banks, businesses and private individuals in general all over-extended themselves as huge amounts of money or debt was used to finance investment in the stock market, property and growing businesses. This debt expansion was unsustainable and much of the growth from 2000 to 2007 was debt based growth, not real GDP output growth. It was borrowing tomorrow’s money to pay for today’s expansion and prosperity. Just when we could most afford to go light on the debt pedal – Gordon Brown sold 65% of the UK’s gold, massively expand ed the public sector, went on a spending binge on new schools, hospitals and public sector services, increased regulation and size of government and resided over a long period of debt based growth and expansion. Massive Debt Still Expanding: The current government is now picking up the pieces after the financial crash of 2008-2009. It’s been 3-4 years now, but frankly, it will take many more years to re-balance even if the markets give the UK the time, which is unlikely. The real austerity measures have not yet started – this austerity package is still a light touch – if the financial markets turn against the UK, then severe austerity will be needed with large cuts to the public sector expenditure to reduce the deficit that still stands at 8% of GDP. Government borrowing needs to drastically reduce but little real progress is being made.Long Grind: The message is, it’s likely to get far worse before it starts to get better. But time is already running out for the Tory Coalition. The next election is only 2¼ years away, and little substantive progress has been made. As mainland Europe starts to improve, the shift of market focus will come to the UK. How markets thought the UK was a safe haven in 2012 belies belief. Far from it, the UK has some of the worst private sector debt, public sector debt, deficits and imbalances out of all OECD countries. For all property investors, this is very relevant because higher interest rates could be just around the corner – and this would squeeze businesses and private individual greatly by end 2013 into 2014. It would also put severe pressure on house prices. If the UK Gild or Bond market bubble pops – interest rates would go shooting up – this is a very real possibility in 2013-2014 as this unsustainable 40 debt bull bubble goes pop. Not A Safe Haven: Overall, the UK is certainly not a safe haven. In fact, it’s a relatively high risk developed country for property investment. The poorest northern areas suffered the most after the Labour party election defeat – as public sector jobs growth dried up and house prices dropped – these areas are likely to deteriorate further – and remain fairly high risk. Meanwhile at the other end of the spectrum, West London has seen such massive property prices rises, some believe this is a bubble, others think it’s not sustainable and few believe that prices offer exceptional value. Hence West London is medium-high risk for property investment at this time. 1. Shoreditch - London: Just NE of the City of London, also close to Canary Wharf and only ten minutes tube to the West End. Close proximity to City Airport with reasonable links to Heathrow and Stansted Airports. At the “Silicon Roundabout” with booming high tech-media and start-up businesses. Young multi-cultural population. Trendy with city slickers, artists, media and young professionals. Expanding population. 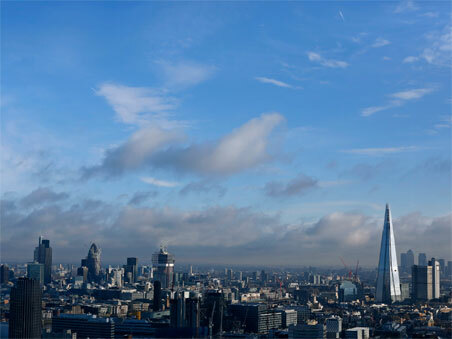 Close to St Pancras and Stratford – spin-off from Westfield and Olympic village regeneration area. Strong rental demand. Prices have already risen sharply over the last 14 years, but properly have some way to go as further foreign money comes in, and the edges of City high priced areas expand outwards. Suggested type of property: 2 double bedroom mansion flat (not ground floor or basement), in quite road close to Old Street station. 2. Farringdon - London: On the western fringe of the City of London, just east of the West E nd, fairly close to Canary Wharf and on the fringe of Mid-Town. 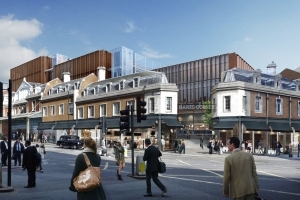 Massive boost will be Crossrail coming through in 2017 with a brand new station. Strategically positioned to go north-south (Gatwick-Luton) and East-West (Heathrow, Stansted, City Airport). Close to shops, restaurants, high paid jobs of all kinds, theatre, tourist attractions. A busy rich city slicker lazy person’s ideal location right in the middle of all the action. Prices are already high, but Crossrail should boost even further. If a financial meltdown takes place, at least wealthy international people will find this a safe haven and there are many types of jobs in Mid-Town (legal) and West End (retail, hedge-fund etc). Suggested types of property: 2 double bedroom mansion flat (not ground floor or basement) preferably with balcony, ex-council flat if you can find a good one - on quite road close to Farringdon Station. 3. Cambridge and St Neots: Booming population. Booming jobs growth. High-tech and new ventures, science parks, one of the most robust areas for employment in the UK. Cambridge is a beautiful University City – visiting Cambridge is like being in a privileged bubble so it’s little wonder why so many graduates stay in Cambridge and join high-tech and science companies and research and development entities. House prices are already high, but things look good long term. Suggested property is a 2-3 bedroom terrace house close to the city centre that can be rented to students, lecturers, employees of science companies and wealthy individuals – possibly retirees. St Neots is a little cheaper, with lots of potential as more businesses move into the area. On the A14 and M11 junction hence good road connections. In both places, make sure you avoid flood prone properties. Buy only in quite streets, in Victorian neighbourhoods (not new builds or council housing estates). 4. Brockley SE4 – London: The London housing crisis means that any property central to Londo n with good communications will likely see house prices and rental prices rise in the longer term. It’s important though to be careful not to buy in areas that could go “down-hill” rapidly if riots break-out, unemployment worsens or the security situation deteriorates. Brockley is a reasonably quiet neighbourhood with a new East London Rail Line station that provides fast access now to Shoreditch-The City. The jobs growth is in the City and Canary Wharf along the rail line. Property prices are still fairly low having been depressed after the financial crisis in 2008. Long term, Victorian terraces and flats should see prices robust and rising, particularly if they are close to the station, in quite streets and close to parks or green spaces. “Brockley Village” will become more trendy as richer young professionals move in. Was a very depressed suburb back in the 1980s, and started gentrifying in the mid 1990s. Still a long way to go. 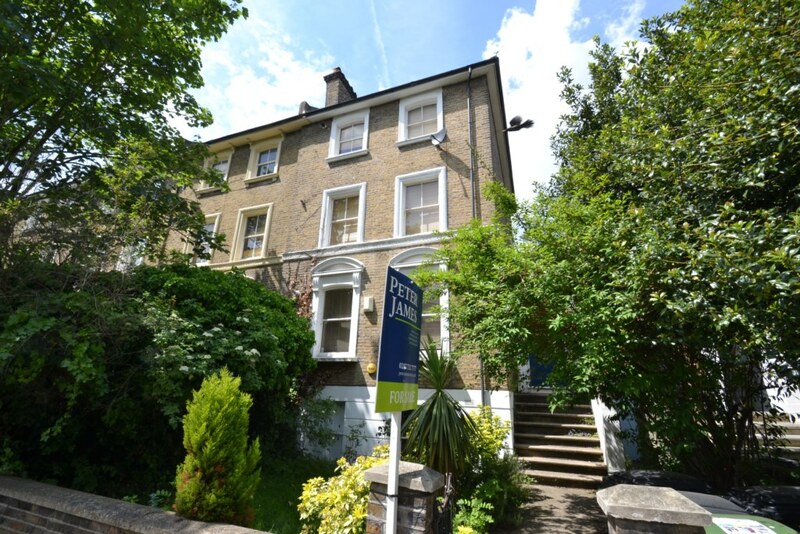 Suggested properties – Victorian 3-4 bedroom terrace with south or west facing garden, 1 or 2 double bedroom flats (if on ground floor, should have access to a garden-patio, if on the first floor, this is also okay since security is better). All four of these investment picks have large amounts of new jobs being created - hence rental demand from young professional people for reasonably high quality property would be very high indeed, also looking to the future. 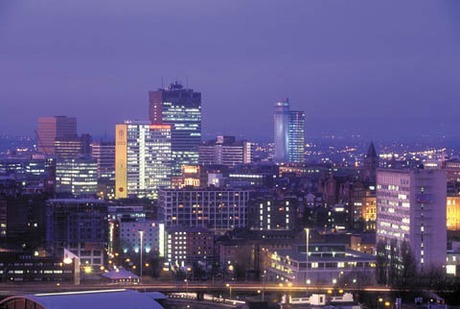 Manchester: Looking further afield away from London, we expect rural and city areas to be affected by continued if not accelerating public sector jobs and spending reductions as the economy worsens into 2014. Hence it’s difficult to see real value at this time – prices are likely to drift lower in real terms. Even if property prices stay static, we expect inflation to be above 3% overall on average for the next few years, so property prices will be falling in inflation adjusted terms. One exception could be in Manchester-Salford which continues to see significant regeneration – assisted by BBC’s move north – the Media City - plus the success of local business, expanding population and football clubs with millions being pumped in. Manchester Airport expansion and popularity will also help. Longer term HS2 rail link into central Manchester will help. Toton: Looking forwards to 2025, the HS2 link to Toton 5 miles west of Nottingham is an interesting idea. Many new jobs should be created and people will value being 50 mins from London and living in this area. A nice hilly wolds village close by is Keyworth. Bunny, Plumtree, Tollerton, West Bridgford, East Leake, Normanton and Kegworth nice settlements close to Toton. Plan need confirming, but prices should rise 15% above average over a 15 year period as this station boosts the economy. Aberdeen: in Scotland is a highlight in the north with increasing numbers of high paid oil jobs – plus towns close to Aberdeen as a spill-over of high property prices affects places within an hour’s commute of Aberdeen. Many experienced and wealthy oil engineers will retire in Aberdeen in the next ten years adding to the wealth in the area whilst younger people move in and take this work on. Aberdeen had become a global oil services hub rather than just servicing the North Sea.